It’s been an absolutely CRAZY week in the world of pro wrestling! Just before you start the holiday festivities, tune in to #TheFactionShow! 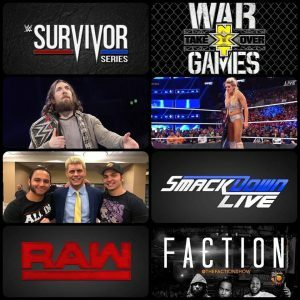 Today, we recap all things Survivor Series Weekend, including NXT Takeover: War Games, Raw, Smackdown, and more! Lots to discuss! Plus, former WCW World Champion David Arquette returned to pro wrestling this week in dubious fashion. 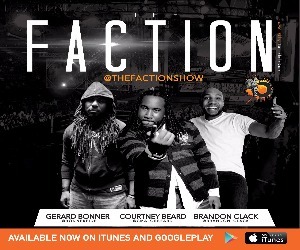 Don’t miss a minute with hosts Courtney Beard, Brandon Clack, and Gerard Bonner, Share your thoughts with us via social media using the hashtag #TheFactionShow. 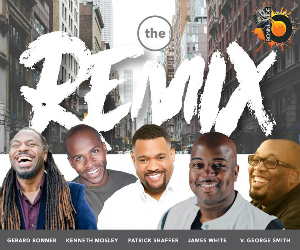 Rate, download, share, and subscribe to this podcast on iTunes and/or GooglePlay. 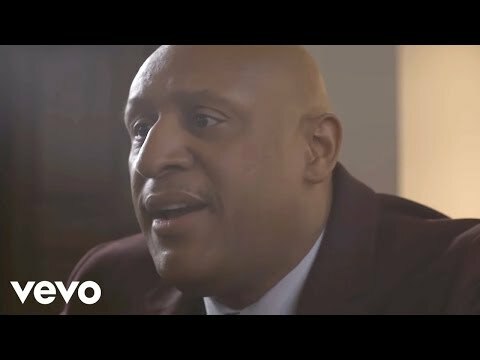 This entry was posted in Podcasts, The Faction and tagged Brandon Clack, Courtney Beard, David Arquette, Gerard Bonner, NXT, NXT Takeover, Raw, Smackdown, Survivor Series, The Faction, War Games, WWE. Bookmark the permalink. Trackbacks are closed, but you can post a comment.